HBI is pleased to announce the selection of CUBE Design + Research as the architectural team that will be responsible for designing the upper story residential units at the 1875 Hayden Building. Last week CUBE’s principals Jason Hart, Chris Johns and Aaron Malnarick presented a compelling proposal to HBI staff and board members on how they would handle the design of the units while dealing with challenging structural bracing and circulation patterns unique to the long and narrow building footprint. The principals have worked with each other in different firms over the past 10 years and formed CUBE four years ago. In addition to designing luxury residential projects for private clients, CUBE has offered their insight on how historic Mid-Century Modern architecture may be preserved while also incorporating new uses and supporting new construction. The CUBE team first suggested that the Paul Rudolph-designed Blue Cross, Blue Shield Building in downtown Boston might be preserved in harmony with a new and larger Renzo Piano-designed building that was proposed for the site. Due to this even-handed, practical advocacy work, CUBE was invited to share conceptual designs on the Gettysburg Cyclorama, designed in 1962 by Richard Nuetra. The firm proposed a spectrum of thoughtful -- and provocative –alternatives that illustrate potential approaches to the preservation of 20th century modernist building. 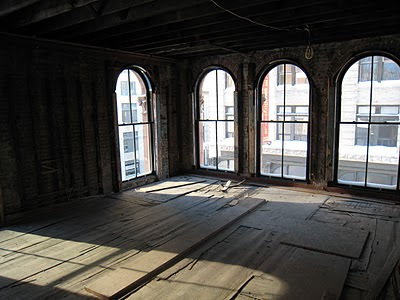 The Hayden Building, a five-story brownstone commercial building, was built in 1875 by famed architect Henry Hobson Richardson, the renowned 19th century American architect of Trinity Church in Copley Square. Richardson designed the building for his father-in-law, John C. Hayden. Today, the Hayden building is the only surviving commercial building designed by Richardson of the four which once graced Boston. It was designated as a Boston Landmark in 1977 and listed on the National Register of Historic Places in 1980. HBI purchased the seriously deteriorated Hayden Building in 1993, repairing serious structural problems, restoring the exterior, and ultimately leasing the first floor for many years to a local bank. An adjacent building, acquired at the same time, became the popular Penang Malaysian restaurant. In order to finance the construction of four housing units and ground floor retail space, HBI plans to sell the attached Penang building, a more modern structure. The location, unique footprint and remarkable architectural details of this H.H. Richardson designed Boston Landmark building present an unmatched opportunity to create truly unique residential units in downtown Boston. We are thrilled to embark on the completion of this long journey with the architects of CUBE Design + Research. 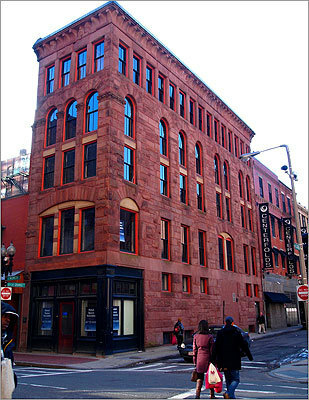 The Hayden Building was also featured in a recent Boston Globe article and the subject of a Boston.com slideshow.